The last days of summer vacation are coming to a close for students across the Houston area. Many will be headed back to school soon. It is an exciting time, but for many kids it is also a time of great anxiety. The start of the new school year causes stress for some children. It’s not unusual for new experiences to produce anxiety. It’s similar to starting a new job for adults. Kids get nervous because they are entering a new grade with new teachers and new expectations. That’s why it is important adults are sensitive to the anxiety that kids experience associated with these changes. 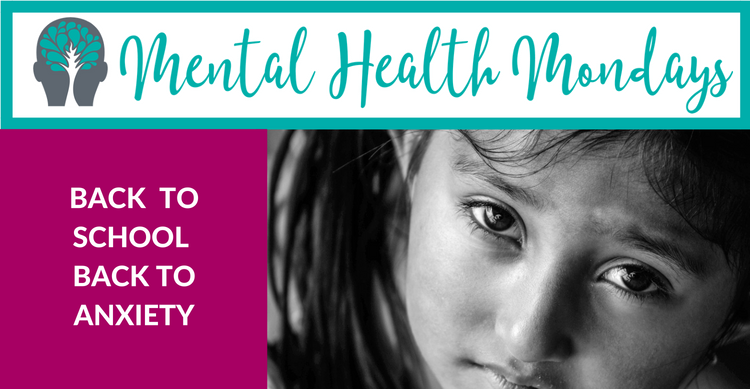 While it’s normal for kids to experience some anxiety prior to the school year, a greater problem may exist if a parent notices his or her child is not sleeping, eating, or if they are crying excessively about not wanting to return to school. The child may even blatantly refuse to enter the building. School refusal is more common in preschool children and should subside as children enter higher grades. However, there are some things parents can do to help their kids manage their anxiety and get the new school year off to the right start. For starters, make sure that your children are prepared for the new school year with their list of needed supplies ready to go. Take advantage of the various back-to school-programs that occur around town and offer to help get things ready for the first day. Anxiety can be minimized when a child is prepared and knows that he or she has what they need to move forward. Attend back-to-school events or take advantage of opportunities to visit the school and classroom prior to the first day of class. Entering school for the first time with a parent by their side can make a fearful situation seem much more manageable. Also, give kids the time and opportunity they need to express any anxiety that they may be experiencing. Sometimes, parents can offer support by simply sharing how they managed their own “first day jitters” as a child. In many cases, back-to-school anxiety dissipates as students adjust to the new school year. But if the anxiety continues or your child refuses to go to school talk to your child’s doctor or mental health professional for guidance.